“UFC on FUEL TV 5” takes place September 29th inside Capital FM Arena in Nottingham, England. UFC Fight Club members will have the opportunity to purchase seats for the show today at 9AM local time. A special Internet ticket pre-sale will be available to UFC Newsletter subscribers on Wednesday, June 13th at 9AM local time. The general public will have access to the remains on Thursday, June 14th at 9AM local time via CapitalFMArena.co.uk. Two scraps have been announced for the Octagon’s debut in Nottingham thus far. 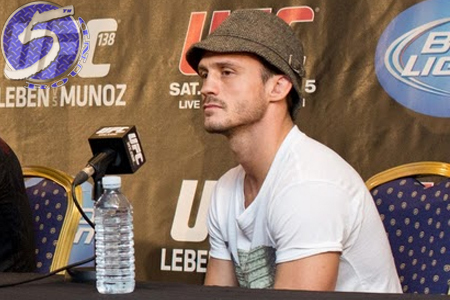 A bantamweight bout between Brad Pickett (Pictured) and Yves Jabouin, as well as a lightweight scrap with Andy Ogle and Akira Corassani were confirmed for the show. UFC president Dana White recently mentioned Dan Hardy and Paul Sass could also participate in the event. Both Brits were victorious at UFC 146. FUEL TV will broadcast the main card live in North America. Although an official confirmation hasn’t been made, the UFC’s Facebook is expected to offer a live stream of the night’s preliminary action.